If you want to build up muscle and bulk up, you want to avoid getting fat. There are some things you have to do in order to make sure that you get the perfect balance of bulk without fat. It doesn’t matter if you are a busy New York City businessman or a farmer in the midwest, anyone can use these tips to bulk up without gaining any fat. First, know how much you weigh. 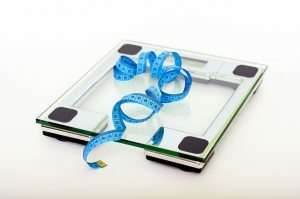 You will want to eat plenty of protein but measure it out to be about one gram per pound that you weigh. You can get more specific instructions on most any reputable weight training website or online magazine. You also want to be sure you are increasing your daily caloric intake by 100 calories. You can keep track of doing this by using an app that can track what you eat each day. You want to increase calories by eating more carbs. Keep up with your exercise regimen. Don’t skip any days of lifting because you do not want to chance any of these extra calories building up as fat. You should see a difference in a week to 10 days. If you do not, repeat the process. Make sure that you are adjusting the amount of protein that you are taking in properly. If you are having a problem, adjust your carb intake every day by 150 calories. If you need to, add more reps to the exercises that you do. According to Men’s Fitness magazine, the experts suggest that you add some drop sets to your regular weight lifting routine. These should be about 25 percent lighter weights than what you are accustomed to lifting. You want to use them to get that total burnout feeling! Don’t forget to do cardio. Jog, jump rope or bike. Just twice a week should do the trick. Try these all for about a week and you will see the difference.